John Chryssavgis, Bartholomew: Apostle and Visionary (Nashville, TN: W. Publishing Group, an imprint of Thomas Nelson, 2016), 272 pages, ISBN 9780718086893. 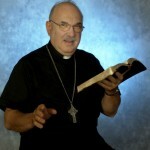 Written in cooperation with the Greek Orthodox Archdiocese of America. Foreword by Pope Francis. Interspersed reflections by: Joseph R. Biden, Jr., Benedict XVI, Rabbi David Rosen, Rowan Williams, Al Gore, Jr., Jane Goodall, George Stephanopoulos. This journey with the Orthodox exposed the Western slant of all my theological training. Although I am indebted to what I learned from Augustine, I came to thirst being enriched also by Chrysostom. As a result, I have become increasingly aware how mainstream media in the West is quick to point to the exploits of Pope Francis while paying less attention to Ecumenical Patriarch Bartholomew even when the two were involved in joint ventures like the 2016 refugee outreach in Lesbos. This media inequality, however, has never drawn criticism from His All-Holiness. 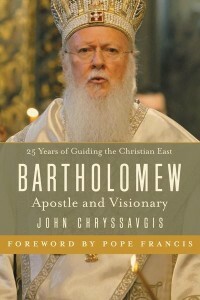 This brilliant biography by Archdeacon John Chryssavgis is a clarion call for Christians from around the world to benefit from the apostolic and visionary leadership of 25 years of guiding the Christian East by Ecumenical Patriarch Bartholomew. The introductory chapter is titled “Just Call Me Bartholomew” taken from the 2009 “60 Minutes” interview of His All-Holiness and so it will be in this article. I was so intrigued by the text that I flew to Boston, MA, for a personal conversation with Archdeacon Chryssavgis. I left that exchange impressed by the scholarly and ecclesiastical acumen of one of the most astute Orthodox theologians that I have come to know personally. 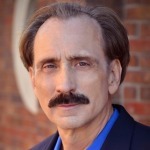 About the Author: Harold D. Hunter, PhD (Fuller Theological Seminary), is Director of the IPHC Archives & Research Center. 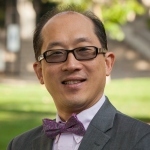 Denominational executive positions, seminary teaching and ecumenical dialogues have taken him to over 80 countries. 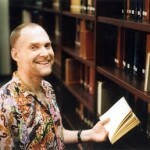 In addition to being the founding editor of the Cyberjournal for Pentecostal-Charismatic Research, Hunter has published five books and several articles including Spirit Baptism: A Pentecostal Alternative (1983, 2009), The Suffering Body: Responding to the Persecution of Christians (2006), The Azusa Street Revival and Its Legacy (2009), and The Many Faces of Global Pentecostalism (2013). 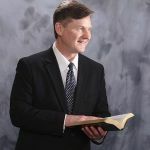 As the IPHC Liaison to the Greater Christian Community and member of the PCCNA Commission on Christian Unity steering committee, Hunter actively engages the World Council of Churches, Eastern Orthodox Churches, and the World Communion of Reformed Churches (WCRC).